The Images in the Landscape tour of thin places in the West of Ireland starts in two days, but the complete journey includes the anticipation that comes before travel when we imagine the journey. So according to that understanding I am already traveling because I’m full of anticipation. 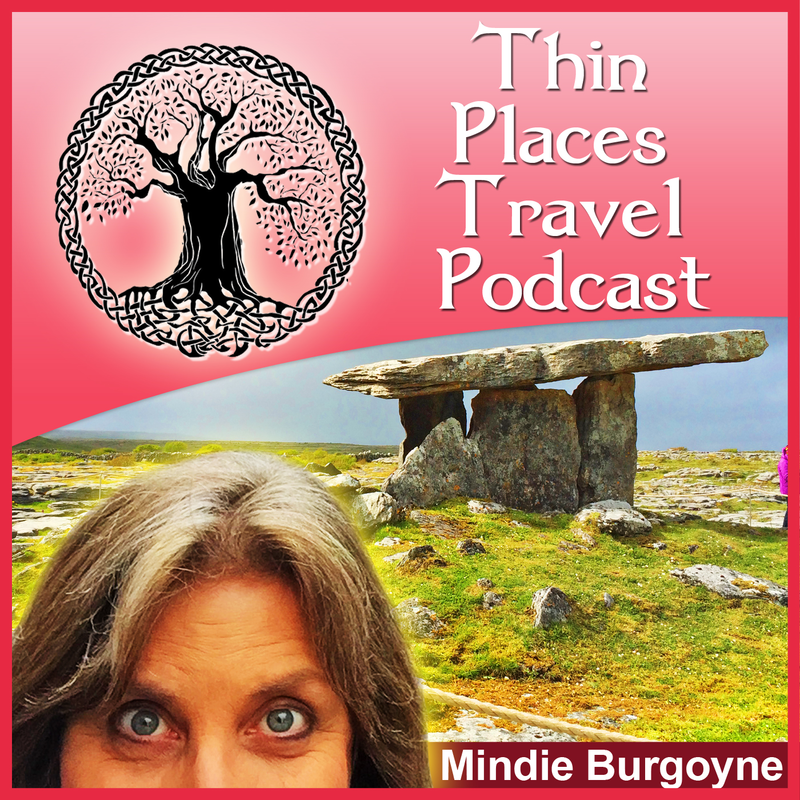 In 2012, I guided a small group of guests on a 10-day thin places tour in the West of Ireland. One of our stops was Coole Park, the home of Lady Augusta Gregory. She and William Butler Yeats and several others were behind much of the Irish Literary Revival in the early twentieth century. Her manor house is gone now, but the grounds, which include formal gardens, a lake and seven woodlands still appear much as they did when she was there overseeing them. As my tour group entered Coole Park, I overheard a park guide addressing a group of tourists. He said, “You have all now just become an image in an ancient landscape.” I thought about the phrase as I continued to walk. Later, that same phrase became a powerful meditation mantra for me. How many ancient landscapes do we walk through in this life? And how many times are we are reflective enough to connect with them … to become a part of them … to sense the past that swirls around us? 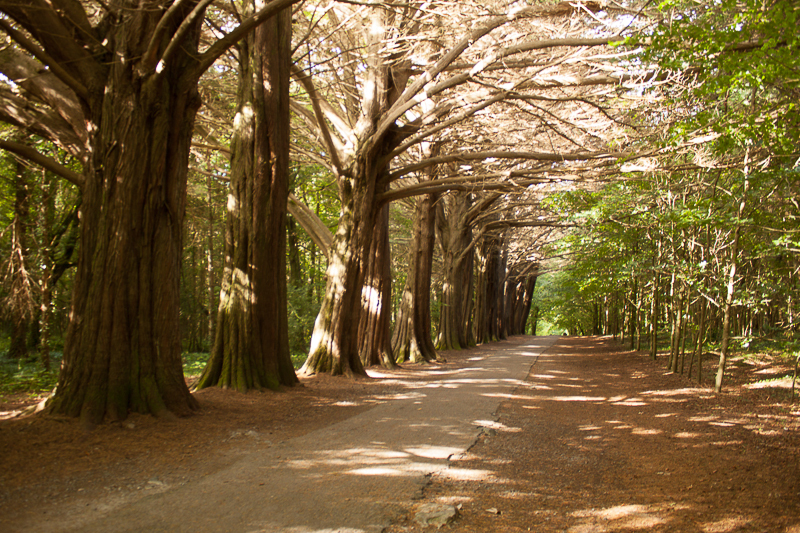 Since that walk in Coole Park three years ago, I’ve led four group tours to Ireland’s thin places, and today I am getting ready to do another, and we’ll be cycling back to Coole Park. The name for this tour is Images in the Landscape. So now …. 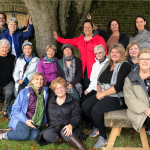 a phrase dropped by a tour guide in one little slip of a moment will set the tone for the traveling experience of eighteen people. 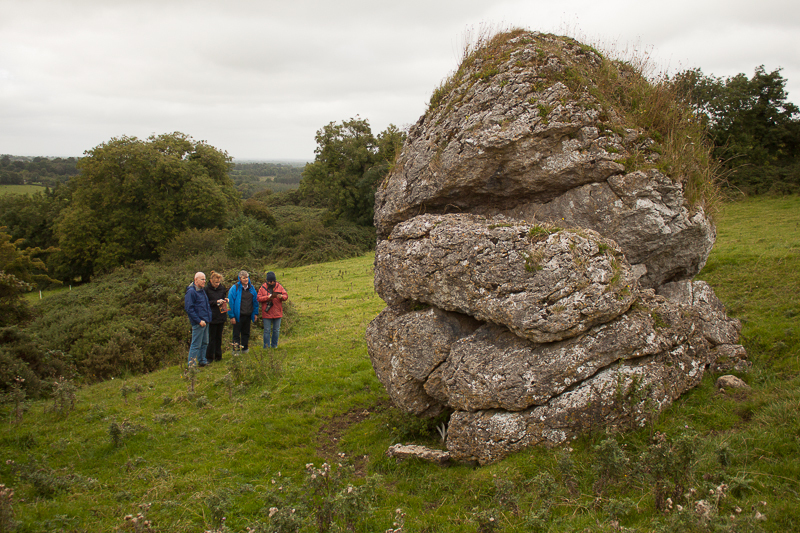 We will be visiting Coole Park and its ancient landscape that is reminiscent of when Ireland was covered with hardwoods and deep forests, but we’ll also visit the Burren and its sweeping moonscape of rock and megaliths. We’ll journey out into Lough Corrib, a lake named for the mythical Lord of the Sea. And we’ll land on Inchagoil – Lough Corrib’s most famous island. Inchagoil takes its name from the old Irish words for “Island of the stranger” memorializing a devout man who once lived there. We’ll wind our way through Connemara and absorb that awesome light while following one of Ireland’s most renowned archeologists, Michael Gibbons on a private tour of Connemara’s hidden landscape. Then we’ll head for Crough Patrick – the holy mountain in County Mayo, and the ruins of Murrisk Abbey at the foot of the mountain. 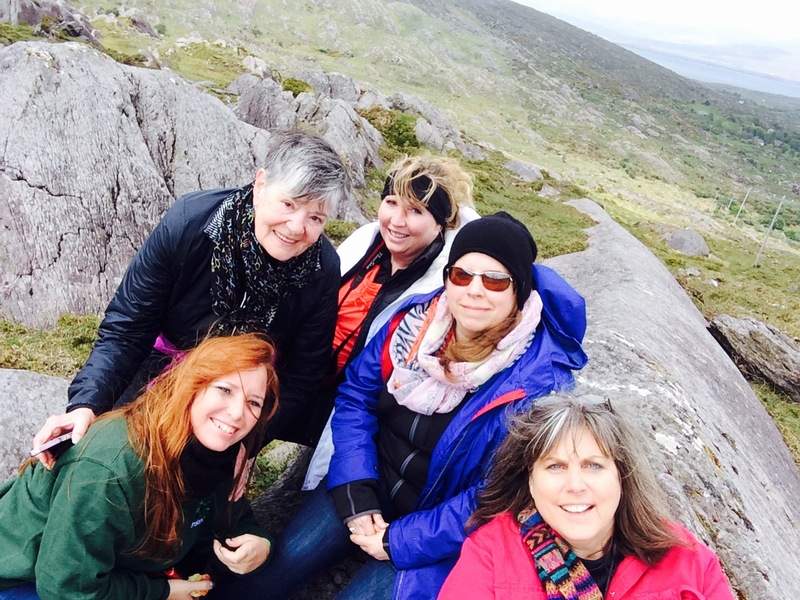 We’ll visit Achill Island, sitting atop a bedrock of amethyst. The island radiates a healing energy while it hypnotizes visitors with its scenic coastline. We’ll walk through the Bricklieve mountains and explore a cluster of passage tombs that pre-date the pyramids of Giza. 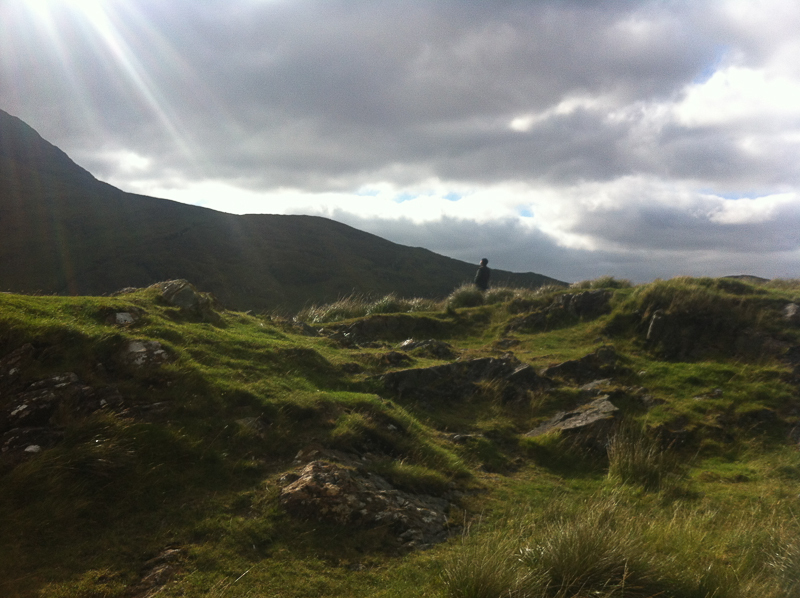 And we’ll stand on the ancient Hill of Uisneach in the mystical center of Ireland and feel the pull of the magnetic energy there. The journey does not begin when we first arrive at the intended destination. It begins with the anticipation of what will come, of what we will see and learn and experience. Part of that is also worry and fear of the unknown. Travel can be unsettling for some. In looking forward to a journey, we wonder who we will meet, what challenges we’ll face, how we’ll feel once we get there and what the pleasant surprises will be. All of the forethought is part of the journey experience. The first step in travel – we imagine the journey. The key learning experiences – the crux of the travel story – the high impact part of the journey – the things that change us are all held in the difference between how we imagine the journey and what the journey actually is. Those differences teach us and change us. Our best memories will be embedded in those differences. Today I imagine meeting sixteen new friends, and I expect I’ll be changed just a little by each one of them. I look forward to walking up the Hill of Uisneach and touching the Cat Stone and surveying six counties from the summit and feeling that sense of coming home. I’m excited about meeting Michael Gibbons and seeing Connemara through his eyes. I imagine all of things he’ll teach us as we walk that ancient landscape with him. 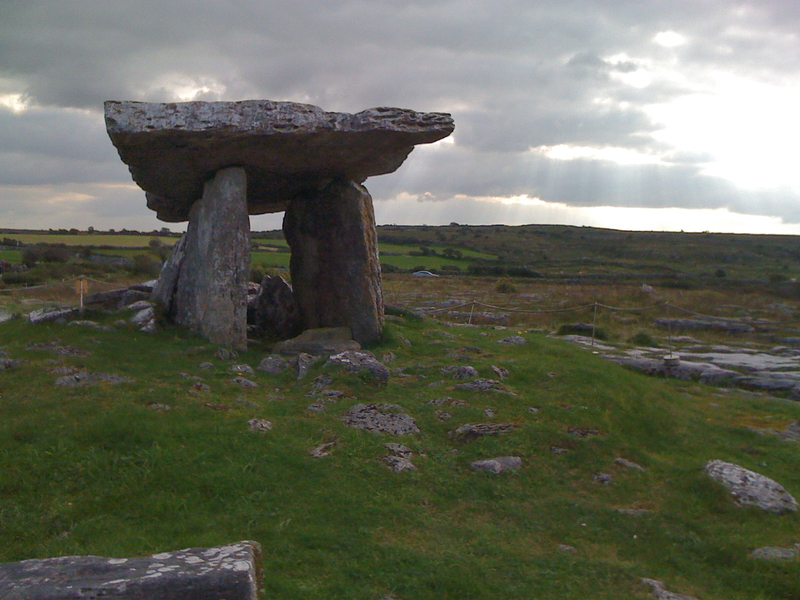 I imagine Inchagoil – and its ruins … and the presence that those ruins still cling to. That will be a new site for me. I also worry. Worrying about travel is also part of the anticipation. Will the guests get along? Will it rain too much? Will the some of the walking be too difficult for our guests – and how will we handle that? Will the hotels have everything in order? Will I remember everything? 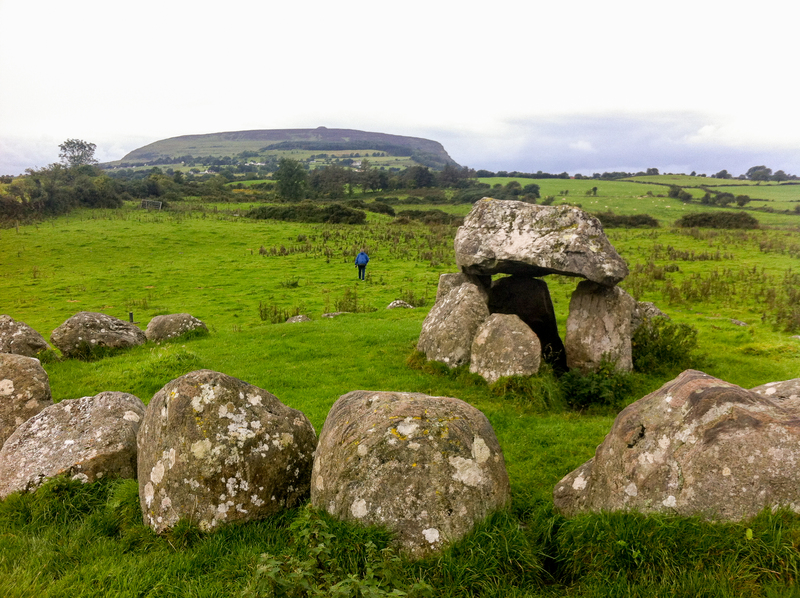 Carrowmore dolmens with Knocknarea in the distance. Despite my worries, I know that the “Wow!” moments for the guests on this trip will be remarkable. They’ll never forget the Hill of Uisneach. They’ll be stunned by the raw beauty of Achill Island. They’ll learn so much from our three local guides, Tony Kirby, Michael Gibbons and Mike Croghan. And besides that… I believe no one can drive through Connemara and not be changed. It’s like walking through fairy dust. You’re journeying through several worlds there. So I rest a little knowing that the magical western landscape of Ireland in itself is a jewel that embeds itself in every traveler. I pray for blessings on Terri, Bob, Linda, Gloria, Bev, Lea, Jim, Maril, John, Karen, Ed, Mary, BJ, Meredith, Bonnie and Renee and safe travel. I pray that John, my excellent coach driver and I will be good leaders and sensitive guides and that on September 20th when this tour is over, our imagined journey will be magnified and expanded by our actual journey and that we will all move forward together. The west of Ireland is one of the most magical places I’ve been to. Safe travels! Wish I was there! !